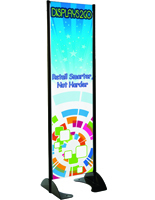 Do you run a business with a drive-thru or a car dealership with constant signage needs? 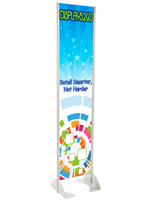 These permanent outdoor banner stands feature heavy duty frames that attach right into concrete, wood, metal, or any other material for long-lasting, outside use. 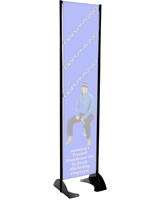 While some people might question the flexibility of the long-term stands, each can actually be updated with a new graphic quite easily. 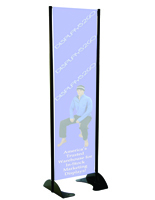 Users are able to change the vinyl signage even after the frame is attached to the ground. When promotions change, just get a replacement graphic printed and fit it onto the pre-installed framework. 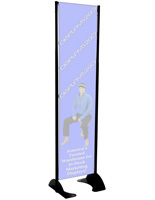 Guaranteed, you’ll never watch another sign blow away in the wind again! 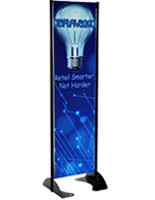 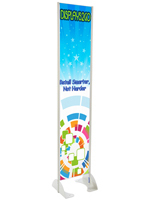 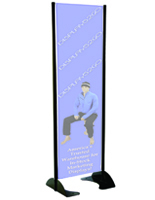 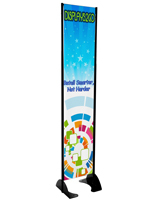 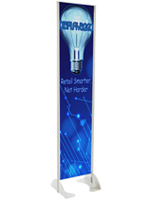 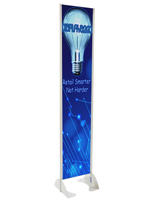 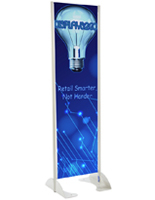 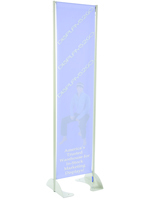 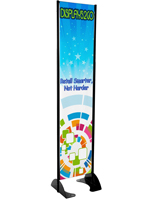 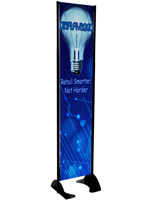 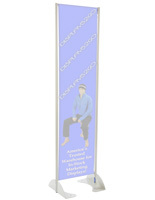 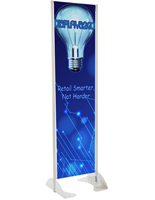 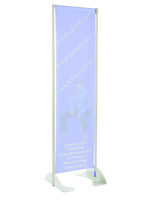 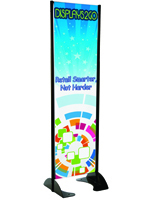 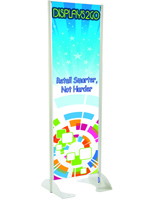 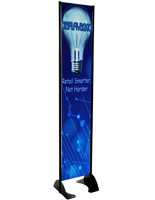 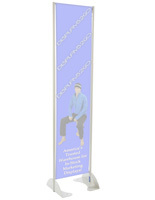 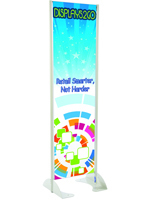 Customers can purchase this permanent stand with single or double-sided vinyl banners.